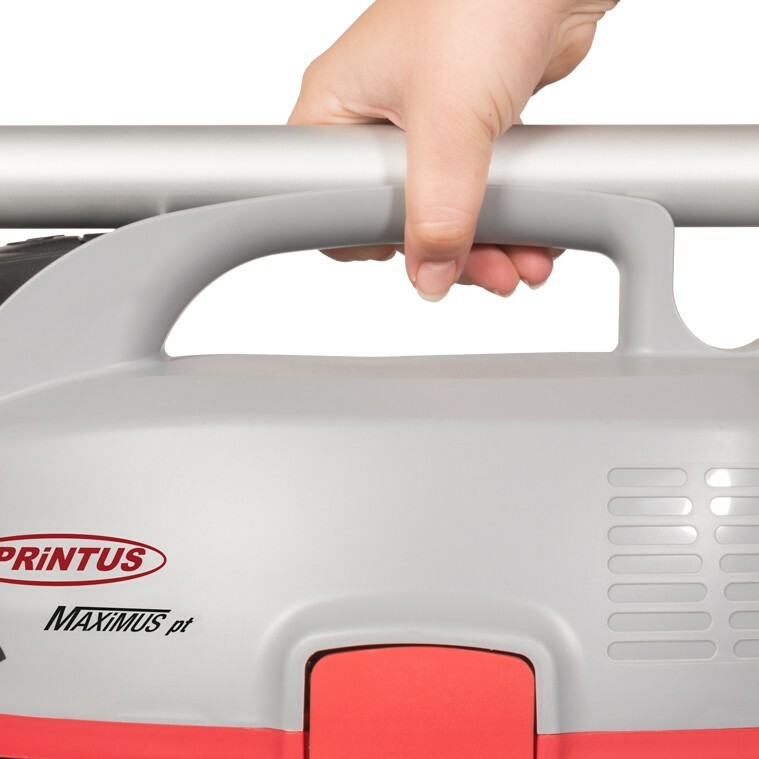 The Maximus pt is the ideal companion for any construction craftsmen. With its compact dimensions and low weight, it is perfect for electricians, carpenters or exhibition builders. 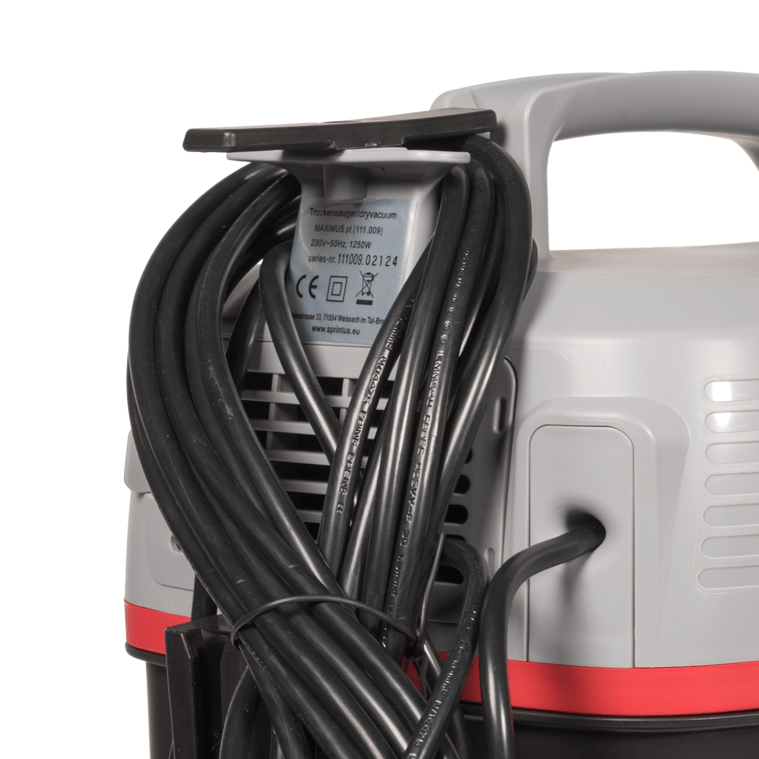 Wherever a handy, lightweight device is required for fast working. 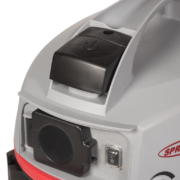 Its enormous suction power guarantees a clean, dust-free workplace on location or in the shop. Any power tool can be plugged into the Maximus pt through the standardized socket & rubber adaptor. 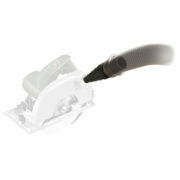 The automated socket then activates the vacuum simultaneously with the connected tool. 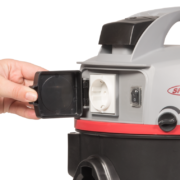 For example when drilling, the vacuum automatically shuts down when the drill is switched off. 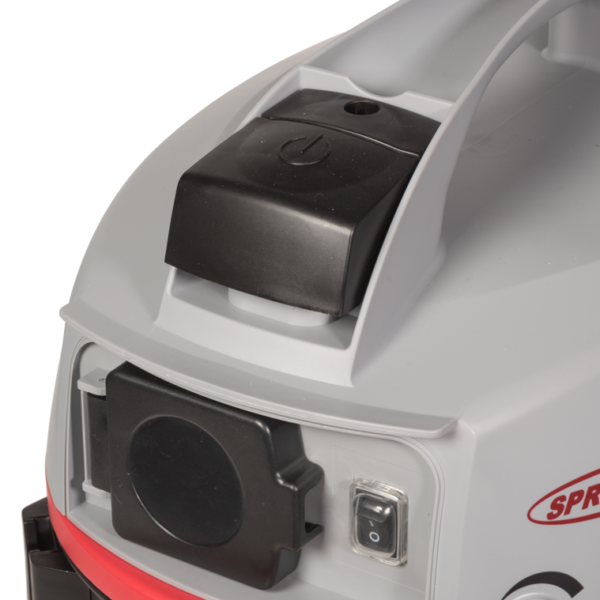 The included 360 mm floor nozzle ensures performance on a wide range of hard floor and carpeted surfaces. 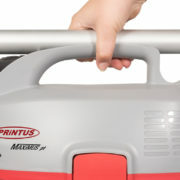 The Maximus pt is universally usable for dry dust and can also be operated without the filter bag. 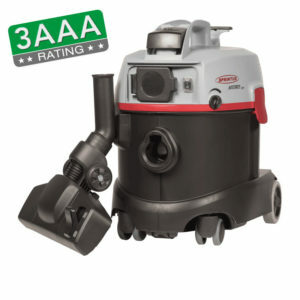 Excellent cleaning performance at a low noise level and high air quality. 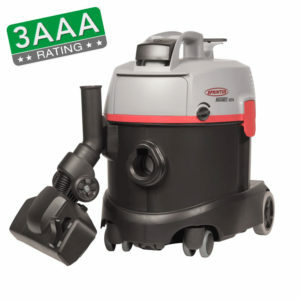 Triple A classification according to the EU energy label and best evaluation in the categories cleaning of hard surfaces and dust emission. 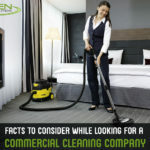 Hotels, offices, clinics, nursing homes and child care facilities. In combination with the Electric Turbobrush, this vacuum cleaner is ideal for heavily-soiled carpets of all kinds, including shag-carpeting. 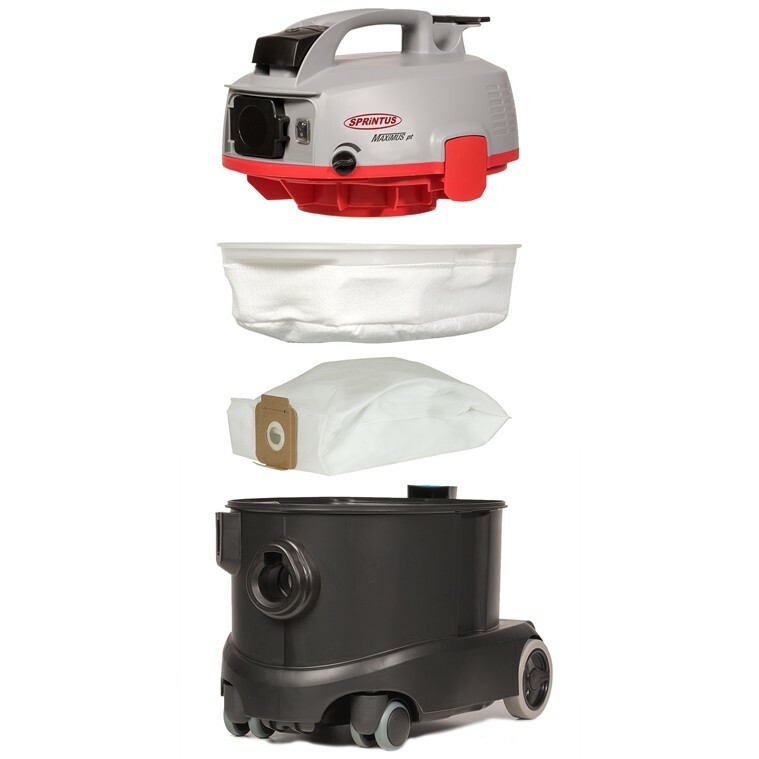 An exceptionally quiet and powerful compact vacuum. With control buttons on the ergonomic handle, you can comfortably switch the vacuum and the brush on and off per button, without tiresomely bending over. 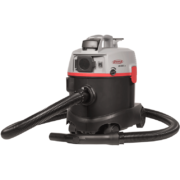 Follow-up suction takes care of remaining particles in the hose and brush. 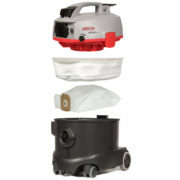 Hotels, offices, clinics, nursing homes, and child care facilities. 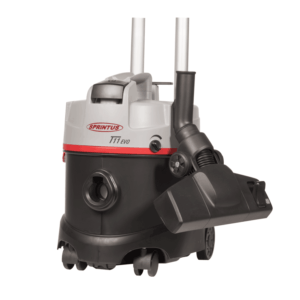 Powerful suction on all surfaces and well-suited for carpet cleaning with the Turbobrush attachment. 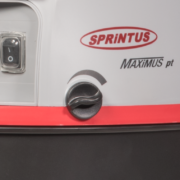 An extremely quiet dry vacuum with only minimal noise emission, the MAXIMUS is optimal for use during business hours. 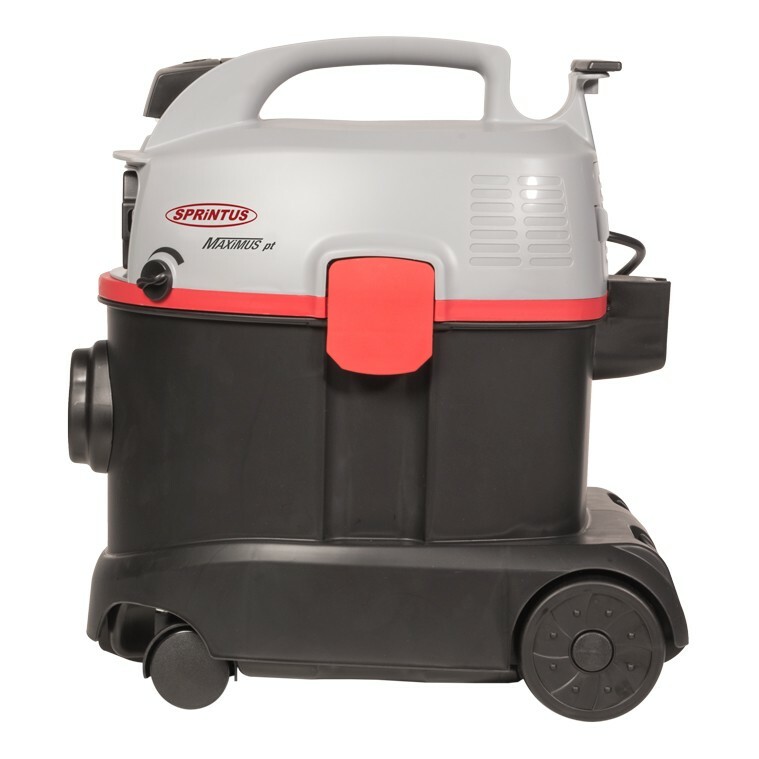 With an enormous suction power it allows for quick and comfortable work. 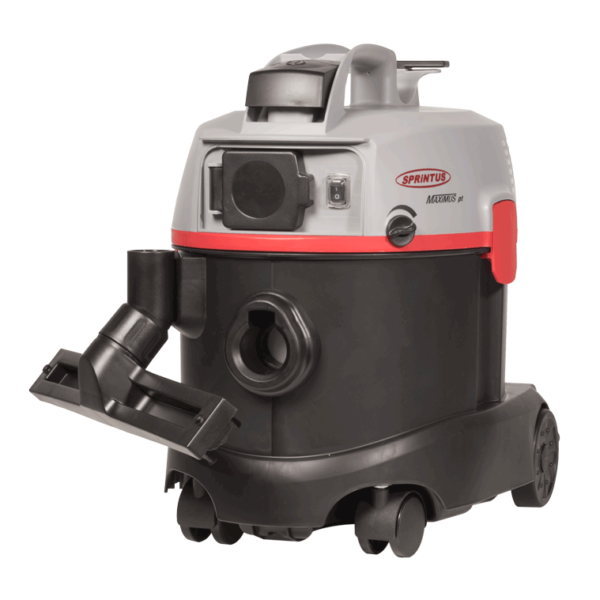 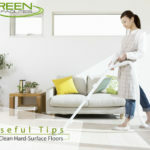 Thanks to the built-in output regulator, suction power can be adjusted easily to the type of flooring. 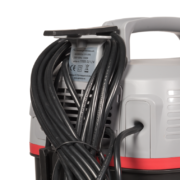 The base of the hose rotates 360°, preventing twists in the hose and reaching a radius of over 13 m. The 10 m power cord can be wound around the head of the vacuum or comfortably hung on the cable hook. 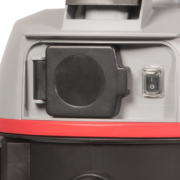 The vacuum is also operational without the filter bag, due to it‘s included fleece filter basket.